Want to keep the kids busy on Thanksgiving day? 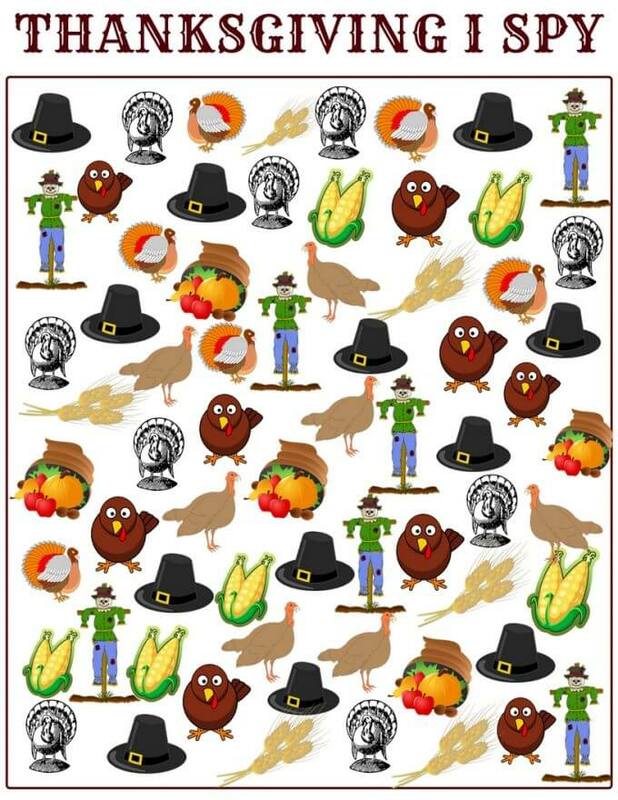 Our Thanksgiving printable counting activity is a fun search and find activity too. A simple activity, this free printable Thanksgiving I Spy is perfect to add to your family time. We have fun Thanksgiving activities to try! We have a little bit of Thanksgiving counting, search and find, and I Spy all in one for Thanksgiving. 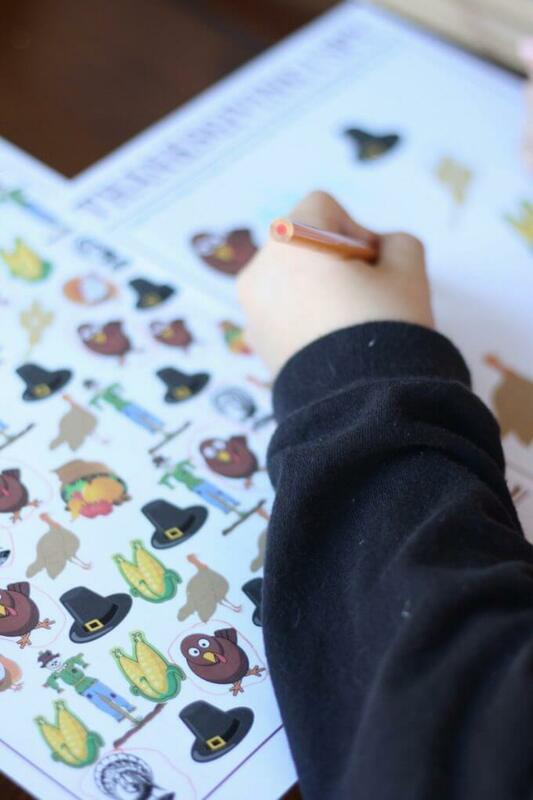 Kids will use their math skills, visual skills, and fine motor skills as they complete our Thanksgiving printable counting activity. Download below. My son really enjoyed working on this printable Thanksgiving activity yesterday and asked me to make him a new one. It was excellent practice for him to take his time and look carefully at all the pictures. He also got to practice writing numbers. 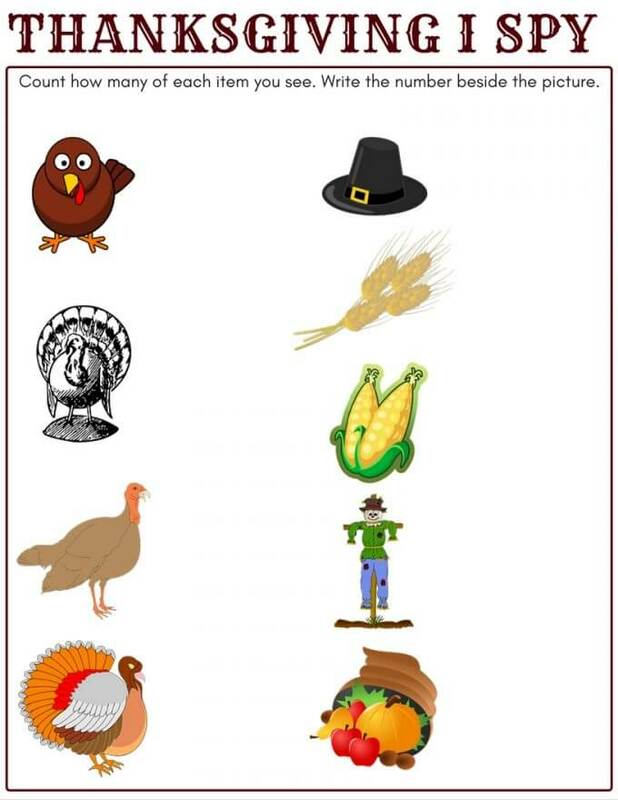 HOW ABOUT THANKSGIVING THEMED SCIENCE? 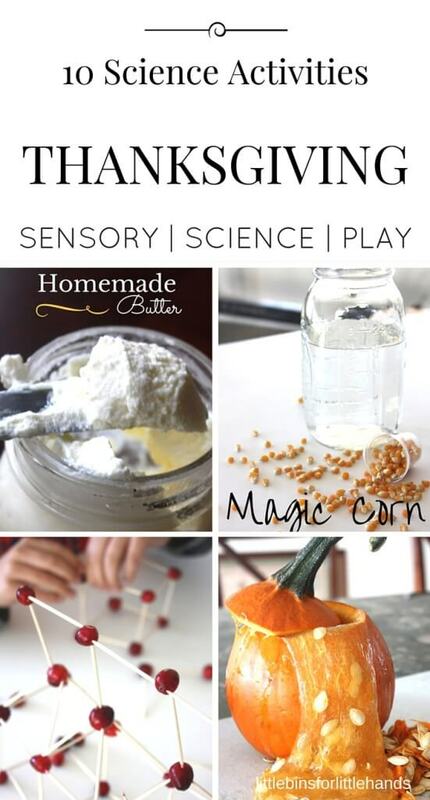 We have some great Thanksgiving themed science and STEM activities perfect for home. 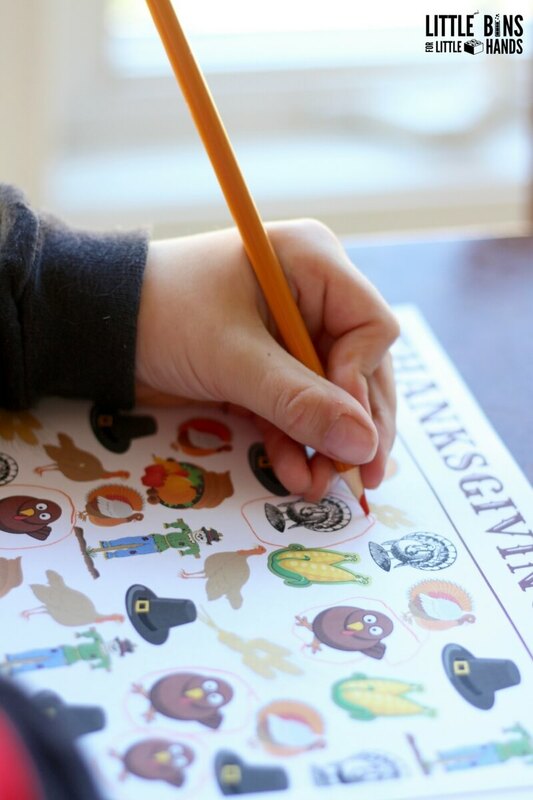 A really helpful hint for our Thanksgiving printable counting activity is to use different colored markers or pencils to circle each picture. Initially my son tried to just count them, but it wasn’t working well. So I gave him his bucket for pencils. The images are different enough that you can even print it out in black and white. Or print out one color copy and laminate it for everyone to use! I am always printing out fun activities when I need to have some quiet time. 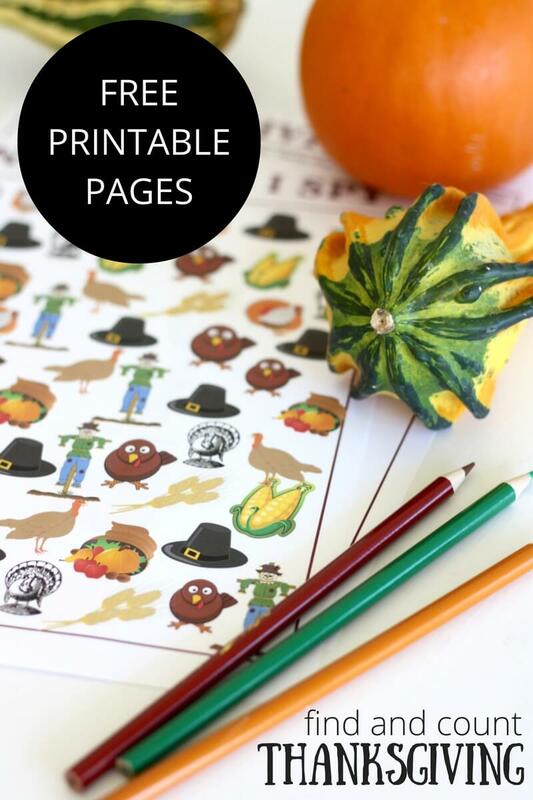 There are tons more Thanksgiving themed printable activities here. 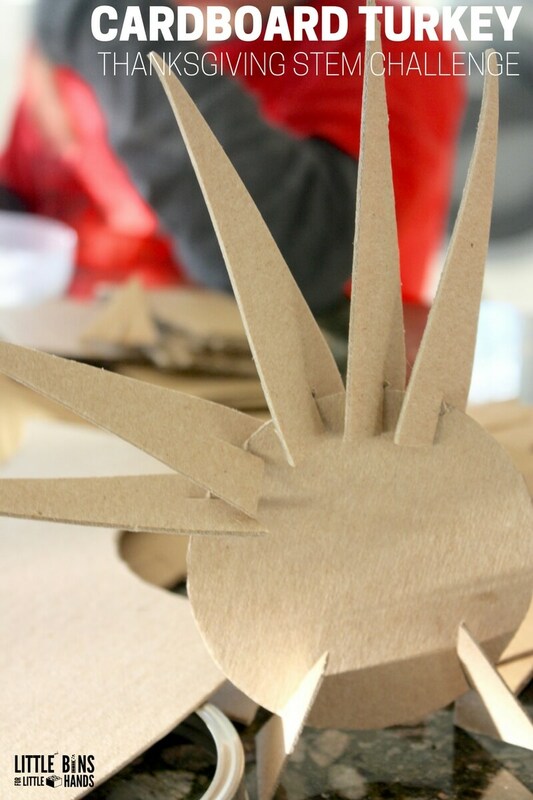 HOW ABOUT MAKING A CARDBOARD TURKEY! 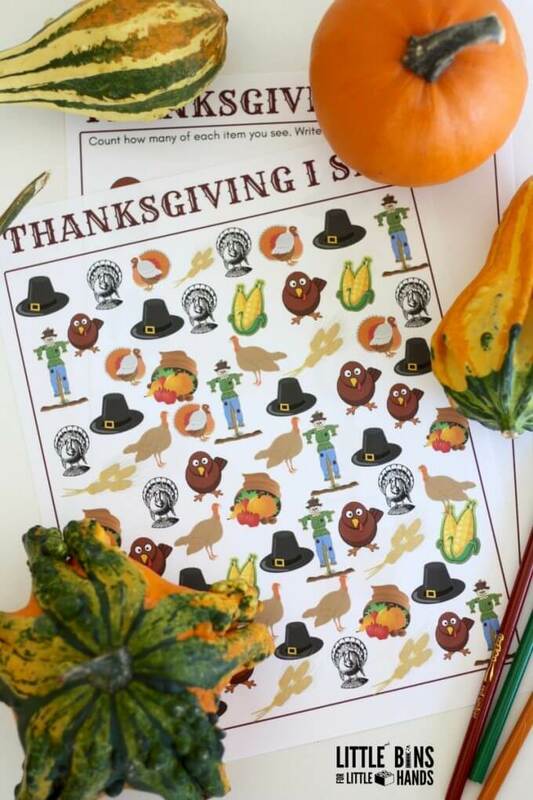 Try something a little different as you prepare for Thanksgiving and printout a fun holiday themed activity to do! If you want to grab yourself another free Thanksgiving I Spy printable head over to Parenting chaos! 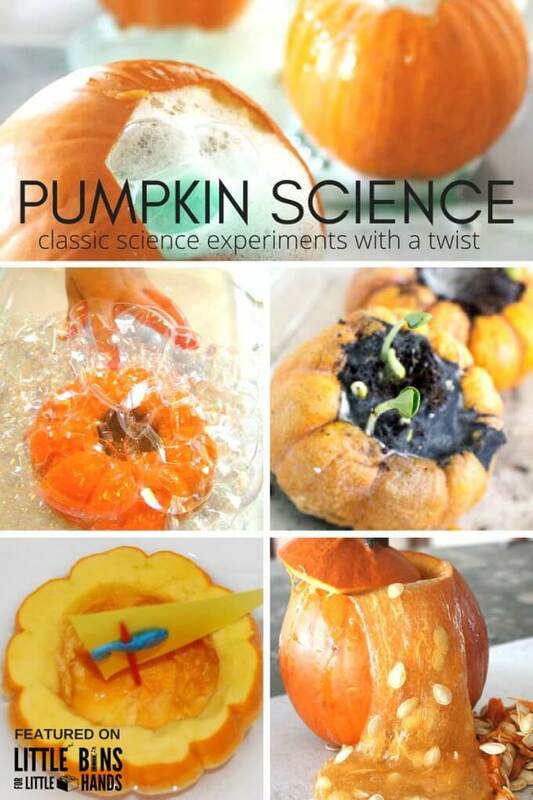 Try some pumpkin science too!